Check out the details, trailer and a new clip from Without Name. Global Digital Releasing recently announced the North American digital and VOD release date of the award winning horror thriller Without Name. 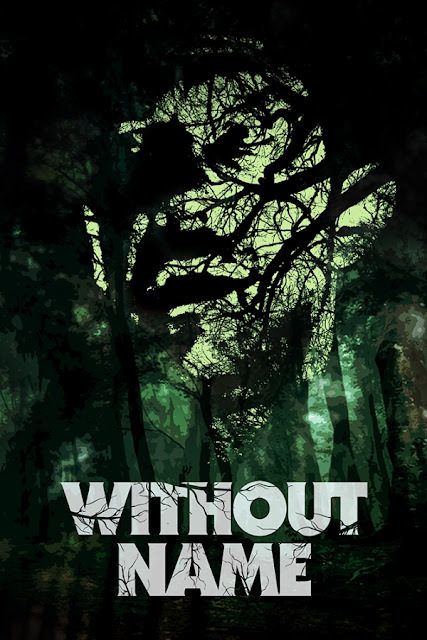 Leading up to its official release on Tuesday, June 20th, the distributor is debuting the film’s official trailer, poster and a new clip ("A late night walk through the woods"). The story follows land surveyor Eric (Alan McKenna). He travels to a remote, unnamed, Irish woodland - to assess its suitability for a new development project. However, not all is as simple as it seems on this assignment. Intrigued by the wood’s foreboding mysticism, Eric finds himself drawn into a dangerous game, that could lead to him becoming a prisoner of this place without name.